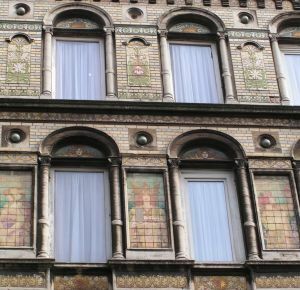 Rue Marché aux Poulets 32, 1000 Brussels, Belgium. 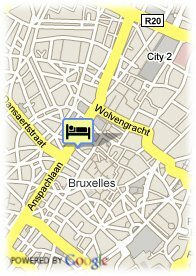 The hotel is ideally located in the real historical center of Brussels. At less than 100 meters from the Grand-Place, near 'l'ïlot Sacré', the royal Opera-House 'La Monnaie' and of course 'Manneken Pis'. The well-known St-Hubert shopping arcades are within a stone's throw. Given the quality of its rooms and services, the hotel proposes very competitive tarifs, whether it's for a single, double, twin or triple room. The buffet breakfast, articularly well furnished and served in an agreeable environment, will surely surprise you. For older children and adults 10.00 € for each additional bed is charged.